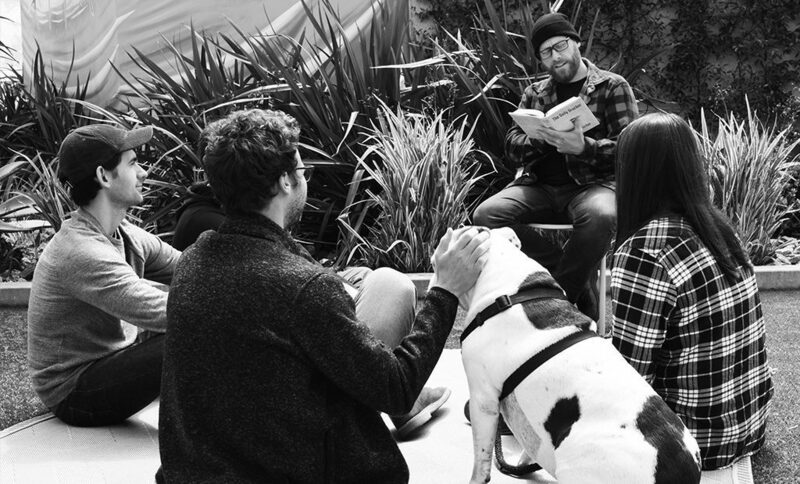 Does Storytelling in Science Require an Audience’s Trust? Last year, I was fortunate enough to attend “An Astrophysicist Goes to the Movies”—a talk given by Dr. Neil DeGrasse Tyson in which he explored how a number of films, spanning several decades, portray science. Specifically, he offered insightful commentary on relatively cheesy films that improbably nailed the accuracy of the science in the story. Conversely, Dr. Tyson examined a few films that should have gotten the science right, but fell short somehow. Personally, my favorite moment was when he lauded both Bill and Ted’s Excellent Adventure and Back to the Future for their detailed and accurate depiction of how people would experience time travel. Theoretically speaking, of course. He also gave unlikely props to the action film farse Expendables 2, in which a character portrayed by actor Dolph Lundgren somehow accurately (and quite unnecessarily) writes out a complicated formula on a cocktail napkin. Why? Well, it turns out that in the early eighties, Lundgren graduated from The Royal Institute of Technology in Stockholm and completed his master’s in chemical engineering at the University of Sydney in Australia. Graduating at the head of his class, Dolph was then awarded a Fulbright scholarship to M.I.T. Who knew? 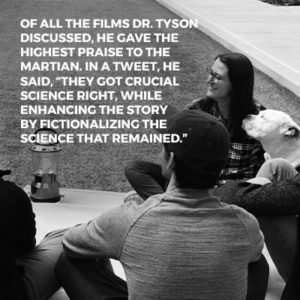 In addition to making me reflect on my own youth spent working in a neighborhood video store, Dr. Tyson’s talk inspired me to consider how science stories are told and why audiences sometimes relate to the science – however technical – and other times do not. In fact, it also inspired me to recently pen an article for Forbes on how to tell a compelling story about science. The reality is that telling stories about science requires an audience to understand the basic underlying principles. But even with that, the audience often needs to take a leap of faith to follow the journey. Yes, I said faith. However, as science storytellers, it’s our responsibility to meet them in the middle and give them enough information and insight to make sense of what might not be so easily understood. Or, in the case of Keanu Reeves in Bill and Ted’s, utter nonsense.